Michael Flood joined RKF in 2012 as Executive Vice President, Chief Financial Officer. He is responsible for all financial management and operational matters for the firm. Working closely with the executive team, Michael provides strategic advice and financial and operating discipline to the organization in an effort to support RKF’s growth plans. Michael has over 28 years of diversified experience in the real estate and construction industry. He has extensive experience streamlining finance and accounting functions, extensive knowledge of both US GAAP and International Financial Reporting Standards (IFRS), and has overseen external financial reporting across a number of his roles. 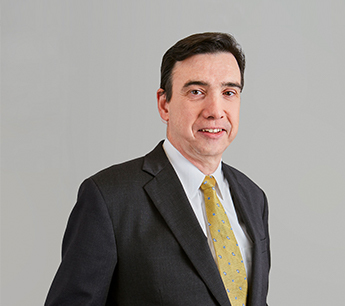 Prior to joining RKF, Michael was Acting Chief Financial Officer at Cushman & Wakefield where he was responsible for all financial operations, including strategic planning, financial planning and analysis, financial reporting, global tax, treasury and capital management, purchasing, accounts payable, and payroll. Michael held several financial management roles at Cushman & Wakefield, from Controller to Acting Chief Financial Officer as well as Chief Financial Officer of Cushman & Wakefield Investors, the global real estate investment management division of Cushman & Wakefield. Previously, Michael was a Senior Manager in the Real Estate and Construction consulting practice of Ernst & Young. Michael earned his Juris Doctor Degree from St. Johns University School of Law, and his Bachelor of Science Degree from Manhattan College. He is a Certified Public Accountant licensed in the state of New York. He is also a member of the American Institute of Certified Public Accountants and Financial Executives International.